Downloading videos directly on your mobile phones is probably one of the easiest ways to keep it stored and show it to your friends than to keep streaming it all the time when you want to play it. 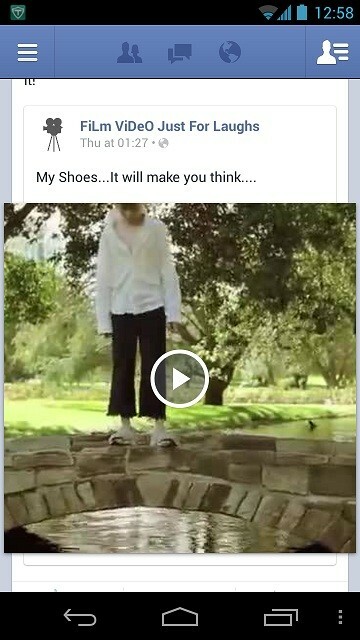 When it is something shared on Facebook rather than on Youtube, the searching would become harder all the time because it would probably be a video shared by a page or a friend, and the timeline keeps updating all the time. 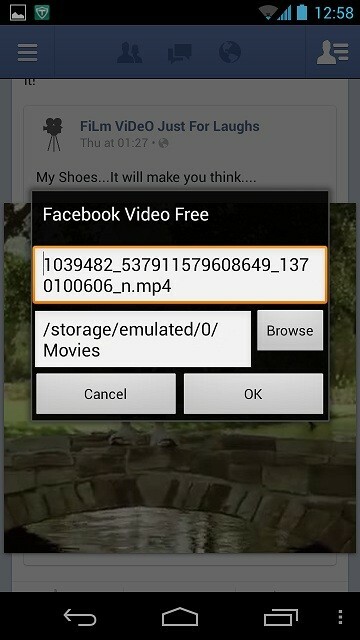 There’s a way people can download the Facebook videos on their Android phones, by just installing the app and making it the selected source to open the video. The Facebook Video Download can happen by using an App called as Facebook Video Free, and this app is available for downloading through the Android Play Store. Once you download the app you don’t need to do much of the settings and changes to it, as what all has to be done is through the Facebook App. 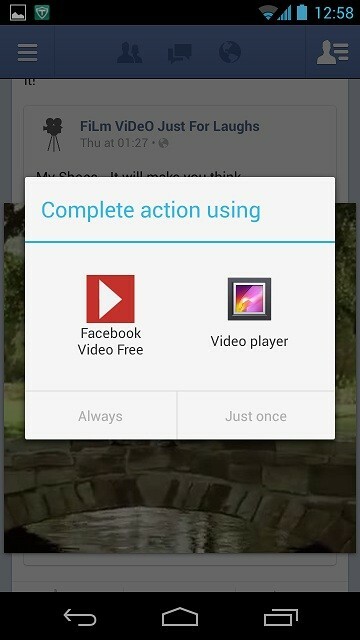 Go to the Facebook App and to the video which you wanted to download in your Android phone. On the video, when you click the Play button, it would show you the options through which you can open the video. Once you click on the play button, you would notice the various apps through which the video can be opened. As in our case, you see the Facebook Video Free, the app which we downloaded, and the Video Player, default one for the Android device. Click on Facebook Video Free. Click on that would send you to the download options, where you can set the location where to download the video file, and it would be the file name which Facebook has given to the video, normally a lengthy number in mp4 format. Click on OK after setting things, or skipping them and the video download would start automatically, the progress of which can be checked in the notification panel. So, a pretty easy guide but there’s nothing you can do directly without having the app installed in the phone. Download the App from the Play Store by going to the following link: Click here.